When most people think of head lice they mistakenly believe that the parasites affect children only with some unlucky young adults also being their victims. Well, even though these are the main two groups that are victimized by head lice, they are not the only groups to be affected by these pests. The elderly can also be susceptible to a head lice infestation. This is particularly the case where the elderly share close quarters with each other such in senior centers and nursing homes. 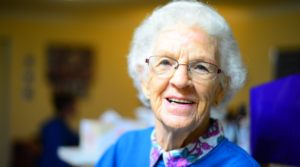 Just as one might expect, senior centers and nursing homes are required to report outbreaks of bed bugs, scabies and head lice just as schools are. Additionally, they are required to check all residents of these homes once there is evidence that such an infestation has occurred. The sad truth of the matter is that head lice can be particularly bothersome to seniors since many of them have thinning hair and sensitive scalps. Finally, head lice can be a big problem for such facilities because the can go undetected for quite sometimes. This is because nurses and staff don’t usually expect lice to be found among the elderly. Many people are only now learning about the toxins found in many over-the-counter lice medications. They are also learning about how lice have, in many instances, become immune to this questionable cocktail of toxins. Therefore, just as is the case with young people, it is best to use natural lice treatments to address the problem when it affects the elderly. Treatment should be immediate and thorough and whatever method you chose should be repeated when necessary in order to destroy all lice and their nits. Finally, it is important to wash all bedding, pillows, stuffed animals and clothes that the elderly come into contact with. The lesson here is that head lice do not discriminate based on age. Their main requirements are human blood, hair to latch on to (their nits) and warmth. We have the perfect solution to rid people of these pests forever. We do so with our natural head lice products and via our head lice removal salon. Moreover, head lice do not grow a tolerance to our products so our clients can be sure that they are effective and safe.